This dessert totally deserves its name: it looks a real mess, but oh my, what a yummy mess it is! 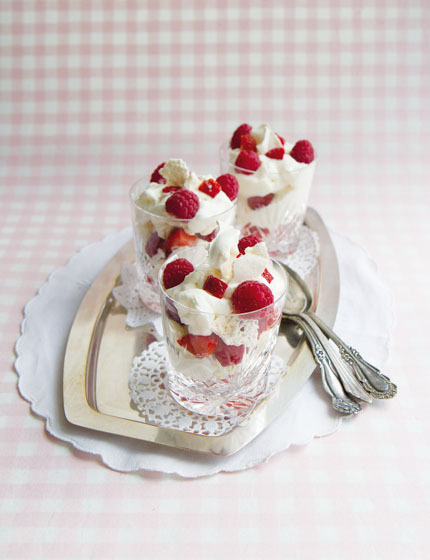 Pillowy whipped cream, mixed with crunchy meringues and summery fruits – a real delight. It’s a true British classic, as this dessert is traditionally served at Eton college’s annual cricket game. See how quick and easy it is to make this dessert – here’s the episode that features this recipe. Recipe available exclusively in my first book Anne’s Kitchen. Buy the UK version here and the German version here. If you live in another territory, please contact me. my wife as well as i like this yummy dessert very much. it’s Yummy!!! !